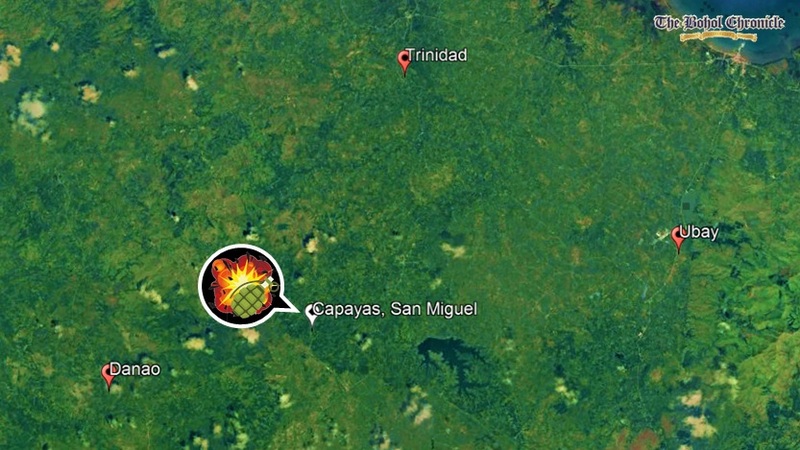 A grenade exploded beside the barangay hall and a village disco in Capayas, San Miguel at dawn on Wednesday. The explosion left minor damages to the house of a former village councilor, Pablo Consarba, but no one was injured, said police. According to SPO1 Anecita Lacierda, the MK2 fragmentation grenade was lobbed near the barangay hall and exploded at past 4 a.m., a day after the village’s barangay day festivities. The disco party near the barangay hall had already been stopped during the explosion. Lacierda said that investigations on the case continued as police have yet to identify the motive and persons behind the explosion. The Bohol Provincial Police Office deployed Ubay Police Station commander Chief Insp. Jacinto Mandal, a bomb technician and a post-blast investigator, to the scene to conduct a probe. Mandal and other police officers found parts of the exploded pineapple-type MK2 fragmentation grenade including a safety lever, tinfoil cap, cocked spring, fuse assembly, fired detonator and grenade fragments. Prior to the explosion, there was a commotion at the village disco at around 12:30 a.m. prompting officials to end the activity.